A style career is not just about putting outfits together – it’s also about empowering people. I love seeing the transformation in my clients as I organise their wardrobes and see their confidence soar. If you have a passion for helping people and a love of clothes – let me introduce you to this magical World…. Gail Morgan is a Style and Image Expert and is one of the most experienced and highly qualified image consultants and trainers in the industry. She’s passionate about helping others become successful and mentoring them to find their niche in this amazing industry. I have always been interested in clothes and fashion – there is even a book of my “designs” when I was 8 years old lurking in my loft! However it soon became apparent that I didn’t have the artistic talent to pursue a career in fashion designing so I worked in the retail industry at various levels and for a number of different companies. I was inspired to start my own business by my Dad who started his business when he was 50 years old and flourished through the opportunities that being his own boss brought him after years of being in the Civil Service! 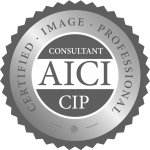 I discovered image consultancy after my Mum had her “colours done” in the late 1980s which revolutionised the way that she felt about herself and boosted her confidence when shopping and dressing. So when I became pregnant with my son training to join the image industry just seemed the right thing to do – definitely the best decision I ever made! 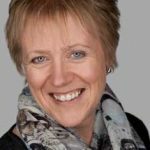 I have been inspired by my clients who often say that I have changed their lives and the way that they feel about themselves, just by helping them with their wardrobes – people may scoff and say that what we do is frivolous BUT it is so powerful. I have had the privilege of seeing people blossom and grow when they understand the clothes that flatter their bodies and appreciate the garments that are right for them. I am a natural teacher and I love to share my knowledge with my private and corporate clients but also with my students who I train, coach and mentor to build their own successful style businesses. I wrote all the Study in Style Training modules and continue to update them when necessary – bringing all my 25 years worth of experience to my trainees. I am all about simplicity, so I teach simple repeatable techniques that you can quickly grasp and most importantly pass this information on to your client in a way that they can understand and utilise. 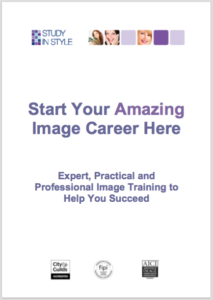 If you would like more information about the courses download a copy of our Training Information Pack &/or book a time to speak to me if you would like to find out how you could join the Image Industry.